You think a box step is hard? Try hosting the Emmys. THAT'S hard. Save the slushies, and pass the class. Jane Lynch is hosting this year’s primetime Emmy Awards. The always delightful actress will MC television’s biggest night, presumably with a few song and dance numbers thrown in, as well as a tracksuit or two. 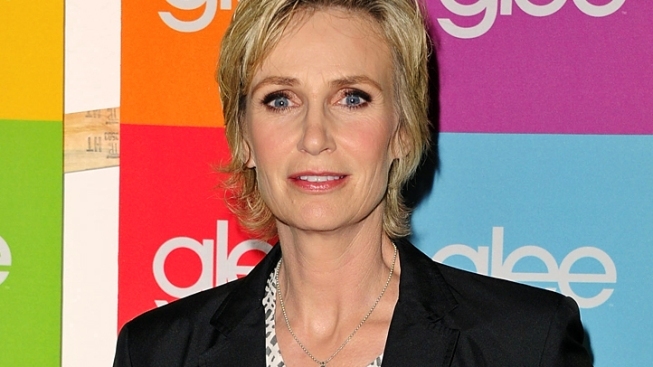 Lynch won Outstanding Supporting Actress in a Comedy Series last year for her portrayal of the thorny hard-as-nails cheerleading coach Sue Sylvester. "I am tickled pink to be hosting the Primetime Emmys,” said Lynch in a statement. "I'm looking forward to singing, dancing and sporting my finest tracksuit." The actress has proven an adept entertainer, hosting not only the 2010 VH1 Do Something Awards, but “Saturday Night Live” as well. The nominations will be released July 14.